Hey kids, wanna see something reeeaaal bad? Something so awful it makes your skin crawl? Well too bad, I’m showing you anyway! So as you may know, Battlefield V’s pre-orders are reportedly not that great. Which is not really news, every person with two brain cells to rub together would have been able to tell you they weren’t going to be fantastic, since Battlefield V has to contend with not one but two major releases of the year in the form of Black Ops 4 and Red Dead Redemption 2. Plus it’s not even EA’s flagship IP, so obviously it would have never been able to out-compete those games. But this one is not about obvious things and about people who know basic things about gaming industry. This is about people who don’t. See, the people who are really miffed about Battlefield V having customizable female character models, you know, the people who like to pretend they’re professors of history on the internet, they would tell you there may be different reason for the pre-order sales dropping. See they believe that this is of course all about them SJWs. Because of course they do, they believe everything is about their boogeyman and them. And even more fascinatingly, they for some reason believe that low pre-order numbers are due to their successful “campaign”. EA’s then chief executive said in an interview “if you don’t like it, don’t buy it”. So some of them didn’t buy it (yet), and now they think it had an effect. Now of course you and I can both see how silly this is. They’ve manufactured an enemy so powerful it literally controls every aspect of their life, but so weak that the single least effective way of influencing a company—the consumer boycott—would work against it. It would genuinely be funny, were it not so tragic. But, let it not be said I’m not fair. In a perhaps misguided attempt at dialogue and healing, let’s have a conversation. 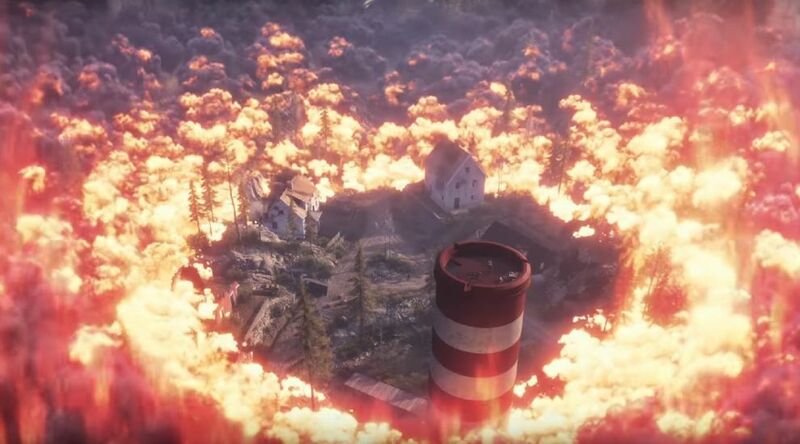 So what do you think of Battlefield V? What do you like about it, what don’t you like about it? Do you think low pre-order sales will have an effect on the franchise or on EA? Why do you think the pre-order sales are low? And while you’re at it, do not forget to say why you believe the things you do, as that is an actual ground for conversation. Anybody can throw claims around, but if you thought yours through, you’ll be able to substantiate them.